Can't get enough of daisies...we have just the thing for you. 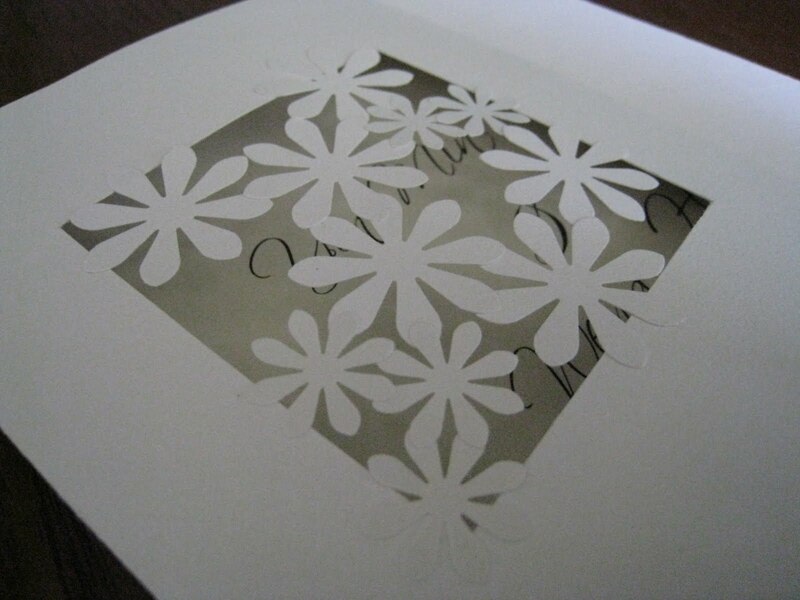 This handmade wedding invitation is adorned with many white daisies of various sizes glued together at different corners, thus creating a web-like effect on the peek-a-boo window at the front the card. Couples can opt for different colour daisies of their choice. 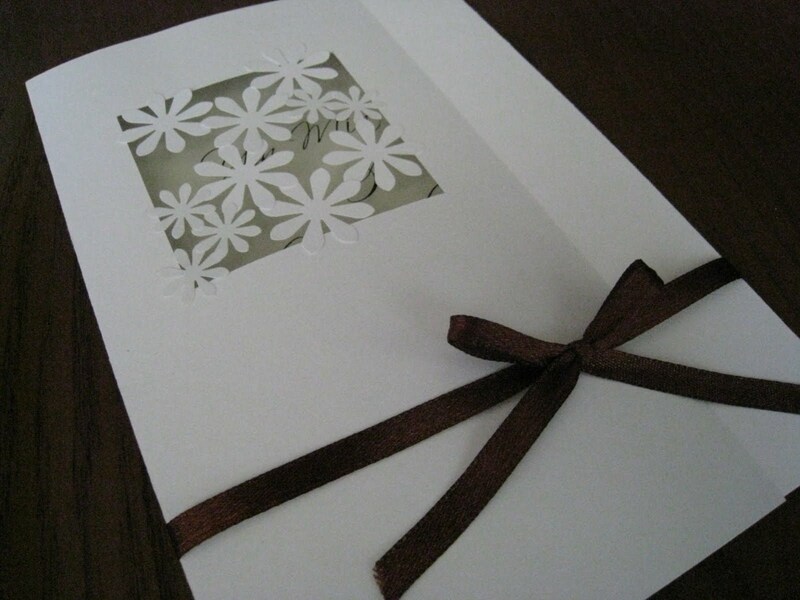 A rich chocolate brown satin ribbon is tied around the card as a band. 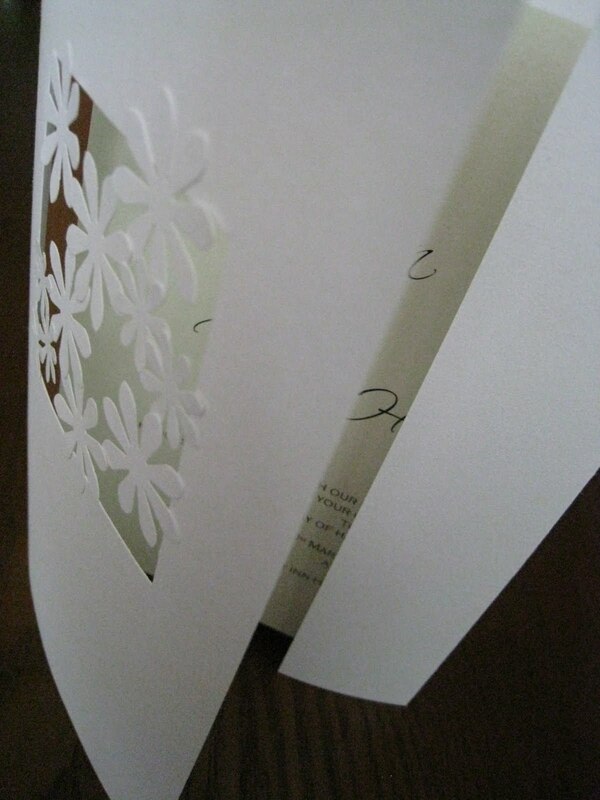 For the inside of the card, a metallic bronze cardstock was added as a backing layer before the invites are fastened on top using a round brad. Couples can opt to put 2 invites on top of each other or they can have the map inserted together with the invites. 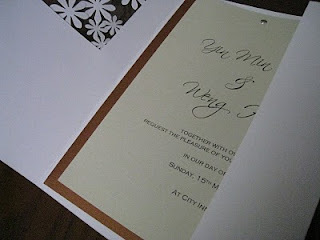 Guests can just flip through the wedding invites for more details. We've emailed you the details .Thanks! syidah: We've emailed you the details. Thanks! hello, what is the best price for 250 pc? levi, kindly leave us your email or contact details and we'll get in touch with you further. Thanks! @akalinga: we've emailed you the details! @emylia: We've emailed you the details. Thx!